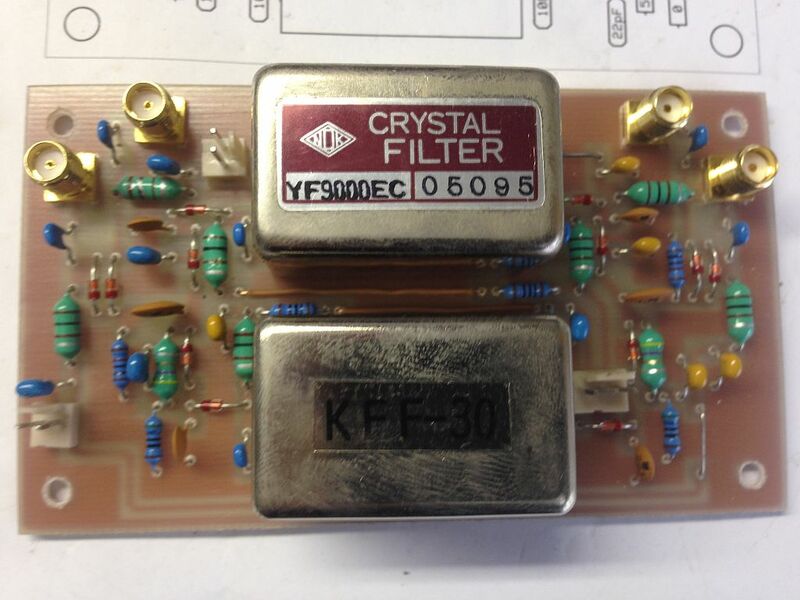 The photos below is a PIN diode switched 9 MHz SSB & AM crystal filter board. As well as filter switching, the transmit and receive paths can also be switched making it useful in a transceiver application. Hence the four SMA connectors.... Transmit in & out as well as Receive in & out. The circuit and Express PCB artwork will be added here shortly. 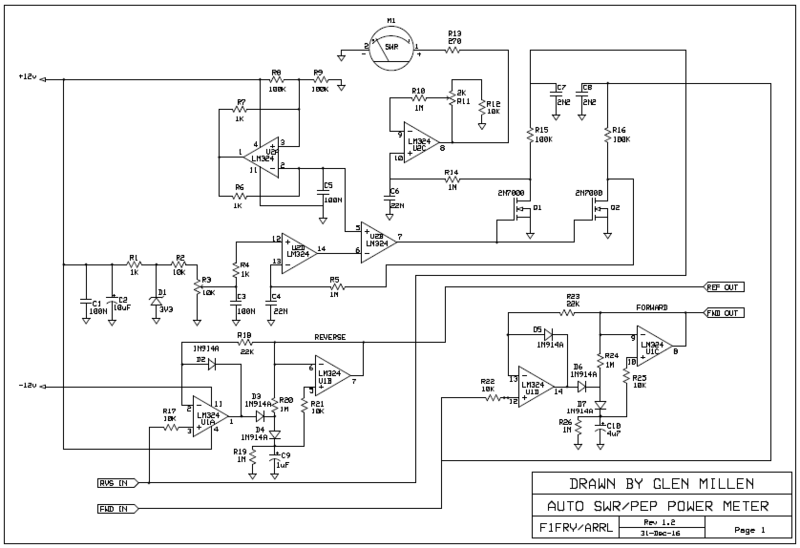 The photos below show my implementation of an auto SWR circuit that can be found on the web. 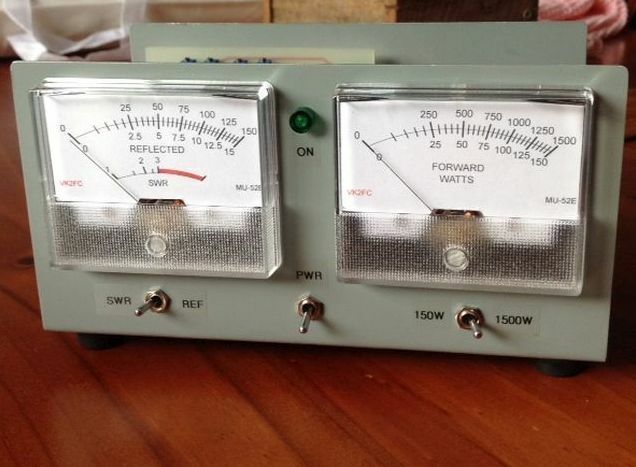 It's a dual range wattmeter with a peak hold function as well as an SWR meter. The SWR meter does not need to be set for full scale in order to make an SWR reading. 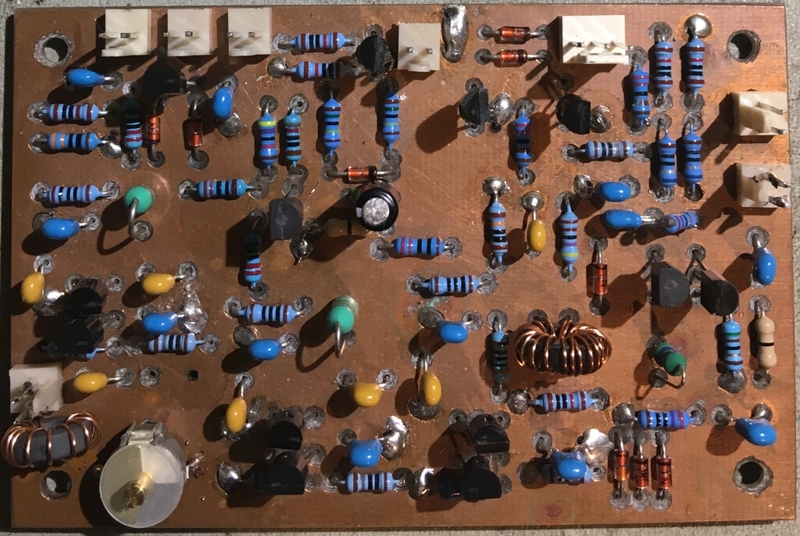 The peak hold circuit is one taken from the ARRL Handbook from the late eighties and early nineties. 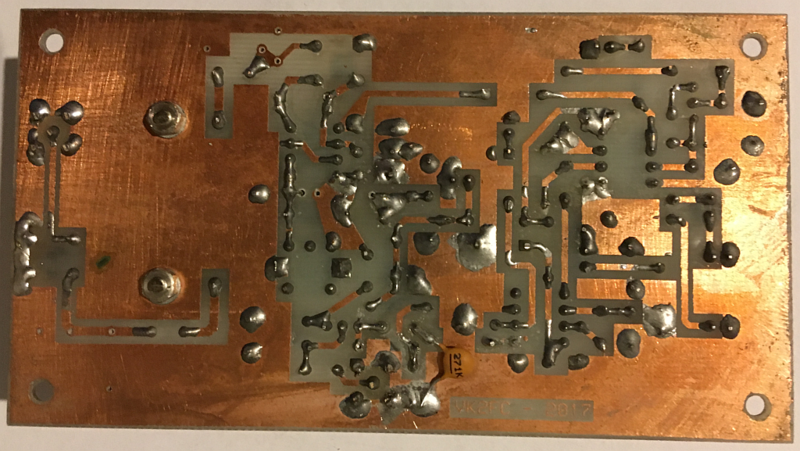 A directional coupler for the frequencies of interest is also required for RF sampling purposes. 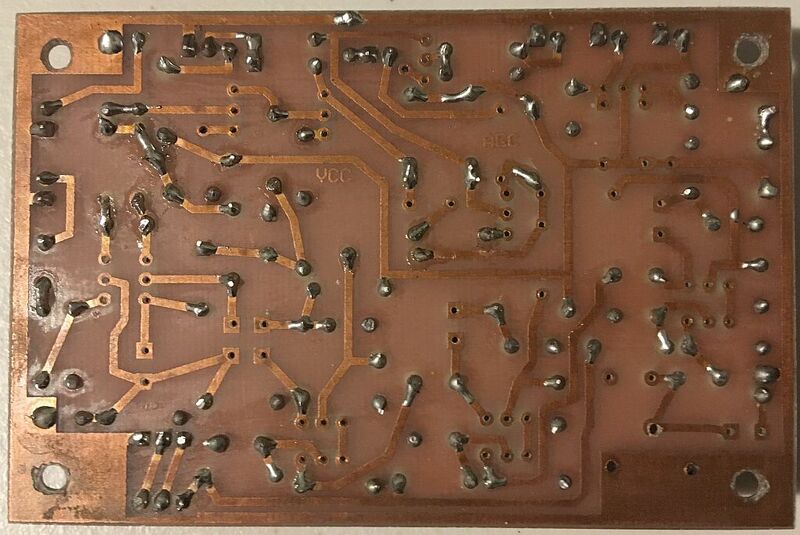 The circuit below does not include the calibration potentiometers which are connected to the FWD & REF out. The upper half if the circuit is the related to the SWR function and the lower half is the peak hold. Below is my attempt at building the W7ZOI HYCAS I.F. amplifier. I have also built a kit version which performs identically to this one. 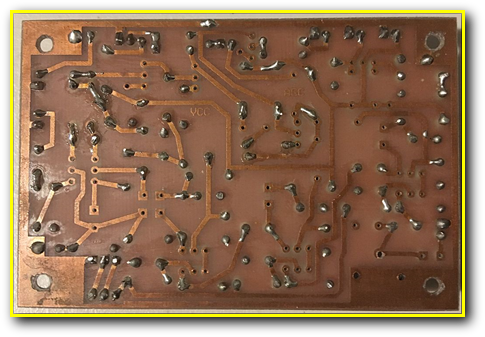 The artwork was downloaded from the web site of W7ZOI and is in Express PCB format. 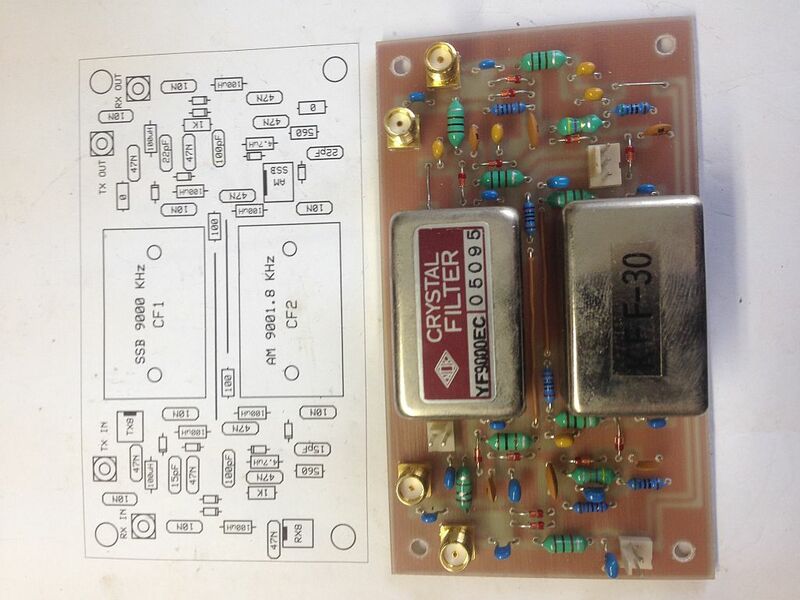 I have been working on a homebrewed version of the Elecraft K2 receiver front end, mixer, IF amplifier and AGC stages to use in a multi-band HF receiver. I like the idea of using a proven circuit. 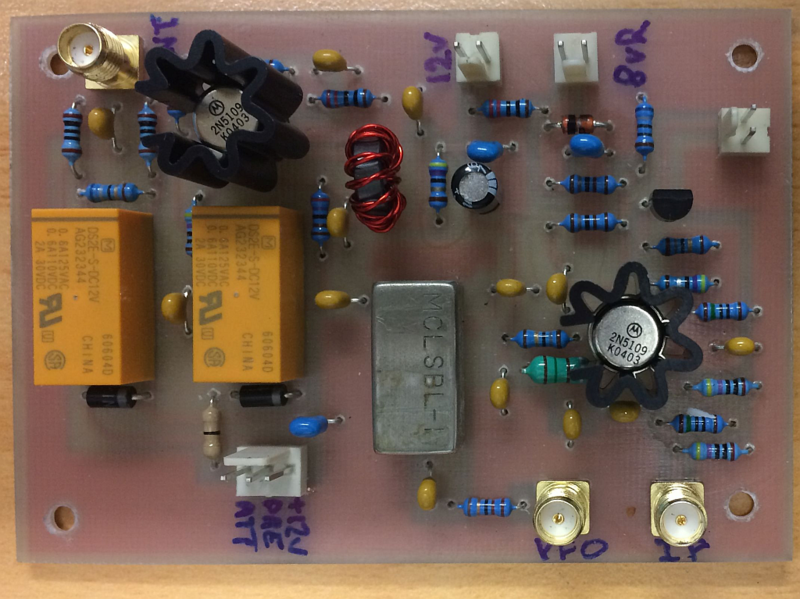 The original boards I built have been used in an 80 metre receiver and it works very well and sounds great too. A separate bandpass filter is required for the bands of interest. The photo below is the RF & mixer stages. My version uses an SBL-1 mixer. 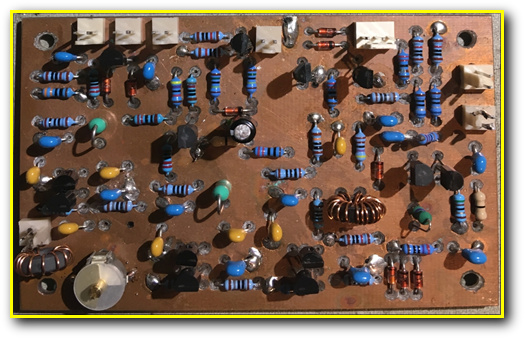 The leftmost relay is the RF attenuator and the relay to the right switches the 2N5109 RF amplifier in and out of circuit. 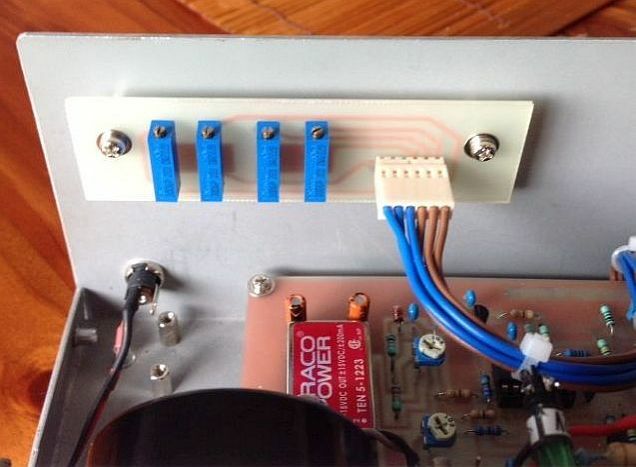 The mixer is followed by a 2N5109 amplifier. 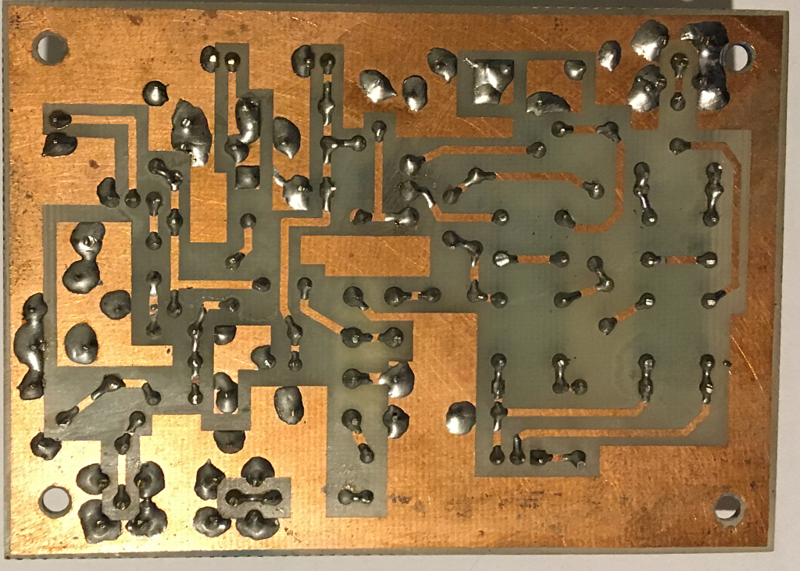 The circuit works well up to 50 MHz. The photo below is the I.F. 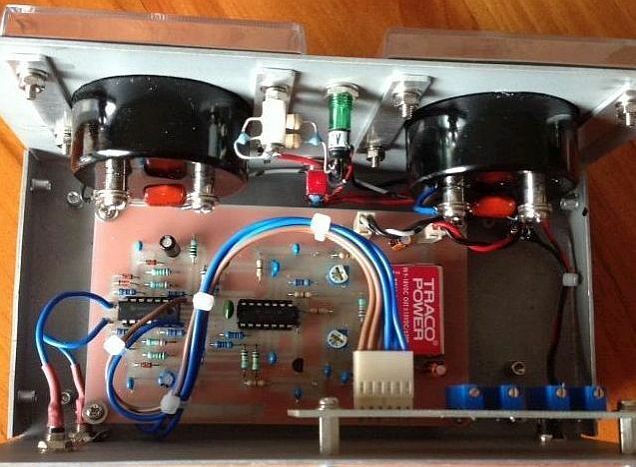 amplifier and AGC system. 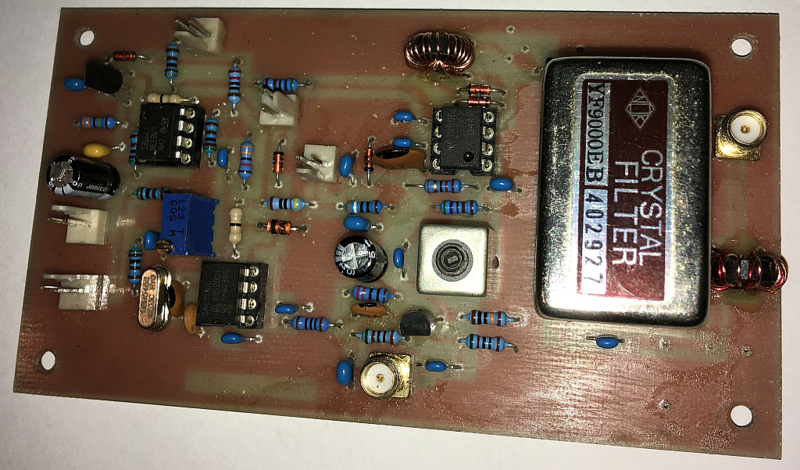 My version uses a 9MHz SSB filter and a 9.213 MHz crystal for the AGC mixer which results in a 213 KHz signal being fed into the AGC amplifier & detector. The idea being that the overall system gain at the I.F. frequency is reduced and will result in a more stable I.F. system.